UK work accident solicitor explains how to claim compensation for injuries at work in a factory including a bang to the head resulting in concussion. I work in a factory manufacturing cars and I was walking through the factory area when I badly banged my head. I was initially extremely dazed and was assisted by some colleagues. It turns out that a pallet had been incorrectly loaded such that a long solid metal part was sticking out from the top of the pallet at around head height. It was clearly a danger to workers using the walkway. The accident was entered into the accident book and I was taken to hospital by a colleague. I was diagnosed with concussion symptoms and a large lump on my head. Both the concussion symptoms and the lump resolved after two months. Would I be entitled to claim compensation for concussion injuries and the lump on my head? It seems that the pallet was incorrectly loaded and presented a danger to workers using the walkway as an access route as it was designed for. There was no warning of the danger and it was reasonable to presume that the head space would be clear when walking on the factory floor. I therefore believe that your employer will be found negligent for causing the accident and consequently will be responsible for paying compensation for your injuries. The injuries you have suffered resulted in symptoms of two months. 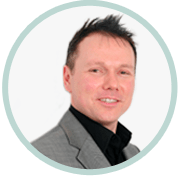 Although you have described that your symptoms have totally resolved within this time period – as you suffered a bang to the head it would be wise to have this monitored for future problems. To show the exact nature of your injuries, including any risks of future complications, a medical expert would need to examine your GP and hospital notes, your head and possibly take a scan so as to fully describe your injuries. Based upon this description a specialist work accident solicitor will be able to determine how much compensation you could claim. As your injuries would be worth over a threshold limit of £1,000 – the legal costs in pursuing your claim would also be paid by your employer in addition to your compensation. Should you wish to commence a claim for a work injury in a factory or other work environment or to arrange for a free call back from me in person to discuss your claim click accident at work compensation claim.